Section 52 of the Grenada Constitution establishes that the life of a Parliament may last up to 5 years. In practice, the Governor-General exercises his or her power to dissolve Parliament on the advice of the incumbent Prime Minister who may so advise at any time before. After Parliament is dissolved, general elections must be held within 3 months after the dissolution. Some persons are of the opinion that the present constitutional arrangements give an unfair advantage to the incumbent Prime Minister, as the Prime Minister would tend to select a period for the holding of elections when his or her government is on a high note. As a consequence of this concern, the Government on the recommendation of the Constitution Reform Advisory Committee laid the relevant Bill in the House of Representatives for First Reading on 2 February 2016. This Bill is entitled Constitution of Grenada (Fixed Term for Elections) (Amendment) Bill 2016. The Bill proposes to amend the Constitution to enable Parliament to enact a law which provides for general elections to be held within a fixed period of time not exceeding 5 years, from the date of the first sitting of Parliament after any dissolution. Similar provisions have been undertaken in the United Kingdom as an experiment. In 2011, the Fixed-Term Parliaments Act was passed. The Act provides that elections must be held on the First Thursday in May of the fifth calendar year after the previous general elections. As a consequence of this law, the UK had its first elections under the new arrangements last year 2015. There is a special provision, however, for reviewing how the fixed-term principle is working in the year 2020 so that appropriate measures can be taken in the future. It is to be noted that the Fixed-Term Parliaments Act of the UK, also provides that unscheduled elections may be held before the prescribed dates if, (i) there is a successful “No Confidence Motion” in the government and provided that there is no subsequent successful “Confidence Motion” held within 14 days and (ii), if two-thirds of the House of Commons support the holding of general elections. 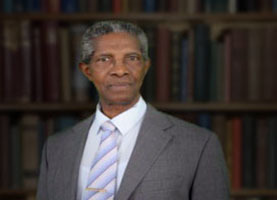 Similar provisions pertaining to the “No Confidence Motion” would remain in the Grenada Constitution. In Canada, an Amendment to the Canada Elections Act of 2007 provides that general elections must be held on the third Monday in October of the fourth calendar year, following the last general elections. Notwithstanding this provision, the Act states clearly that the Governor-General’s discretion to dissolve Parliament and to call a general election at any time is not affected. In fact, one year after the passage of the abovementioned Act, the government of Prime Minister Stephen Harper convinced the then Governor-General that Parliament had become dysfunctional and therefore, should be dissolved. General elections were therefore called one year before the fixed-term date. Despite legal challenges, the Courts upheld that decision. It is to be observed, therefore, that despite the relevant legislation in both the UK and in Canada, fixed-term election dates may be circumvented. In fact, in most, if not all parliamentary systems, there are always available avenues for triggering off successful constructive no-confidence motions to enable dissolution of parliaments before the fixed-term dates arrive. It must be borne in mind, that the Prime Minister and his executive are inherently part of the legislative arm of governance, so there ought to be provisions for curtailing the life of parliament if the government is restricted to its activities. If this is not so the whole machinery of government may become dysfunctional to the detriment of a nation’s development. In sharp contrast with this situation, fixed-term elections are workable and in fact, may be highly desirable in a presidential system. In the USA, there is complete separation of powers between the President, representing the executive arm of government and Congress representing the legislative arm. Congress (comprising the House of Representatives and the Senate) can make laws and spend money even against the wishes of the President in order to keep the government going. Presently, President Barack Obama of the Democratic Party has absolutely no control over Congress, which is controlled by the Republican Party. This situation does not arise with a parliamentary system where the Prime Minister is the Head of Government. If it reaches the situation where the government does not have the majority to authorize expenditure in Parliament, then elections must be called. Having a fixed date for the holding of general elections in Grenada would definitely have serious implications for the governance of the country. It is most important, therefore, that Grenadians give serious consideration as to whether to approve or disapprove the relevant Bill on Referendum Day.